Most people know Freddie Prinze Jr. from movies (She's All That, Scooby Doo, Star Wars Rebels) and as one half of beloved Hollywood power couple with Sarah Michelle Gellar. But to family, friends, and co-stars he's always been a terrific father and skilled home cook who prepares delicious meals for his family every night. Freddie grew up in New Mexico cooking with his mother and eating dishes with a ton of flavor and spice from his Puerto Rican heritage. His eggs come New Mexico style, served with from-scratch biscuits and green-chile gravy. His tacos are the real deal: soft tortillas, homemade salsa, filled with steak layered with quick-pickled cucumbers, or spicy fish dressed with watermelon and thai chiles. 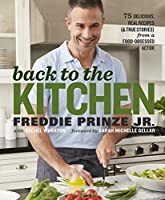 Now in this family-focused cookbook, Freddie teaches fans to cook his mainstays, the recipes that he makes on even the busiest weeknights, as well as more luxurious date night meals. With personal family photos from Freddie and Sarah's beautiful LA home and Freddie's hilarious stories about the life of an actor, husband, and father in Hollywood, Back to the Kitchen shares more than just recipes. It's an inside look at a beloved movie and TV personality who has acted, cooked, and eaten his way around the world. Now a Publishers Weekly best sellerOn The Real Housewives of New Jersey Kathy Wakile is the one-and-only dessert expert Ever since Kathy wowed everyone with a Thanksgiving dessert extravaganza viewers cant stop talking about her luscious inventive bite-size desserts Now Kathys Indulge a treasure trove of some of her greatest recipes is here and shes serving up over treats from the sweet life including- Almond Joyous Cheesecake Cuties- Caramel Walnut Chocolate Tartlettini- White Chocolate Blondie Bites- Fabulous Gelati in mouthwatering flavors Tanned Salty Chocolate-Covered Cherry Orange Dreamsicle and more- PBJ Baby Bundts- Apple Ricotta Zeppoli- Pumpkin Ginger Sticky Buns- Chocolate Hazelnut KissesAll the treats are small so you can indulge without over-indulging As Kathy says Indulge its not going to kill you With family stories backstage glimpses into The Real Housewives of New Jersey and beautiful color photography throughout Indulge is the cookbook Kathys legion of fans will be clamoring for next fall. 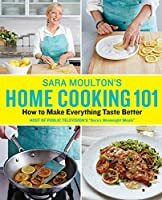 In Sara Moulton's Home Cooking 101, Sara helps answer that eternal question, "What's for dinner?" 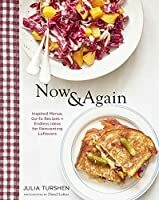 This must-have resource combines 150-plus all-new recipes with time-tested methods that elevate meals from everyday to extraordinary. Sara guides readers every step of the way, from including detailed instructions in every recipe to ensure the dish comes out perfectly every time to tips about selecting ingredients and balancing flavors . Bright color photographs and straightforward techniques show how easy it is to build flavors in a pan for a one-dish dinner, bake seafood in parchment for a quick healthy meal, and turn fresh seasonal produce into scene-stealing side dishes. 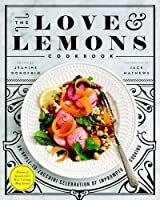 Readers will find recipes to please every palate, including a whole chapter of vegetarian and vegan options. 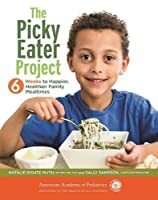 The Picky Eater Project: 6 Weeks to Happier, Healthier Family Mealtimes is a one-of-a-kind book that can transform even the most finicky eaters into fledgling foodies. Focusing on kids' participation, interactive strategies, kitchen experiments, and delicious kid-friendly recipes, the book is based on a six-week plan that makes shopping and cooking fun. Weekly themes and goals include* Week 1 - Picky-Free Parenting: Setting the stage to help your child choose a wider variety of healthful food with key parenting strategies* Week 2 - A Kitchen Revolution: Shaping your child's taste preferences away from bland, white and processed towards flavorful, robust, and more adventurous by changing the way you purchase, arrange, and prepare foods. * Week 3 - The Little Chef: Getting your child into the kitchen - early and often - to encourage him or her to try new foods. From the Barrel Racer cocktail (whiskey and powdered doughnuts) to slow-cooker stews and casseroles perfect for feeding the crowd on branding days to cast-iron recipes perfect for a pack trip into the mountains, Cowgirls in the Kitchen includes all the recipes that the modern cowgirl needs to keep her crew fed and her family happy. 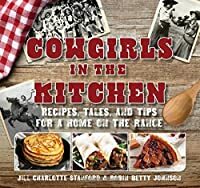 Combines the best of cowgirl myths, nostalgia, and legends with useable, delicious, and fun recipes for use at home or on the trail, this book celebrates the romance of the American cowgirl from the late nineteenth century to today, through historic photographs and modern, western-themed recipes that will appeal to cowboys, as well. Smoking techniques, tips, and recipes from a barbecue master!Tangy North Carolina–style pulled pork Meaty, Smoky Brisket Sweet and Savory Baby Back RibsIf you've always wanted to try smoking these and other foods at home, barbecue pro Larry Gaian will show you how! 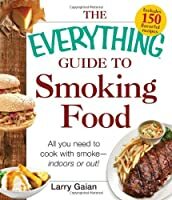 In this guide to authentic smoked food and barbecue, you'll find everything you need to master the art of smoking--choosing the right wood and charcoal; starting and maintaining your fire; selecting and preparing meats; and infusing everything from meat and fish to vegetables, fruits, and cheeses with the wonderful flavor of smoke. Whether you're a novice smoker or an expert looking for interesting recipe ideas, this guide has something for everyone, including information about:Basic smoking techniquesEquipment safetyRegional barbecue stylesIndoor and cold smokingCreating smoke without a smoker And, with 150 recipes for everything from brines and rubs to pork, poultry, sides, and desserts, you'll always have the perfect dish on hand. A renowned culinary historian offers a fresh perspective on our most divisive cultural issue, race, in this illuminating memoir of Southern cuisine and food culture that traces his ancestry - both black and white - through food, from Africa to America and slavery to freedom. 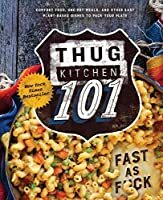 As he takes us through his ancestral culinary history, Twitty suggests that healing may come from embracing the discomfort of the Southern past. Along the way, he reveals a truth that is more than skin deep - the power that food has to bring the kin of the enslaved and their former slaveholders to the table, where they can discover the real America together. Cauliflower is one of the most versatile ingredients to cook with. Packed with nutrition and flavor and tons of texture, this is one superfood that is capable of improving any meal. Highlighting the many different varieties of the brassicas family, and its history, Oz also talk you through the basic techniques such as cutting florets, making cauliflower 'grains', and even how to make a tasty stock using off-cuts from the vegetable. Featuring recipes for snacks and starters, soups, salads, Middle-Eastern inspired meals, and comforting pastries and pies, Cauliflower is a true celebration of this incredible super vegetable. 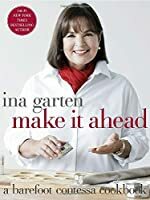 For the first time, trusted and beloved cookbook author Ina Garten, the Barefoot Contessa, answers the number one question she receives from cooks Can I make it ahead?If youve ever found yourself stuck in front of the stove at your own party, scrambling to get everything to the table at just the right moment, Ina is here to let you in on her secrets! Thanks to twenty years of running a specialty food store and fifteen years writing cookbooks, she has learned exactly which dishes you can prep, assemble, or cook ahead of time. Whether youre hosting a party or simply making dinner on a hectic weeknight, Ina gives you lots of amazing recipes that taste just as good—or even better!—when theyre made in advance. In Make It Ahead, each recipe includes clear instructions for what you can do ahead of time, and how far in advance, so you can cook with confidence and eliminate last-minute surprises. Perfect for anyone wanting to create a special birthday cake for a child, Kids' Birthday Cakes includes 50 inventive, fun, achievable projects, from rockets and trains to princesses and teddy bears. 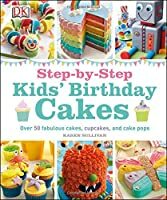 Kids' Birthday Cakes includes step-by-step instructions, photography highlighting tricky details, and a special section on lettering, as well as tips for using fondant, decorative media like stencils and molds, and variants such as mini cakes, cupcakes, and cake pops.